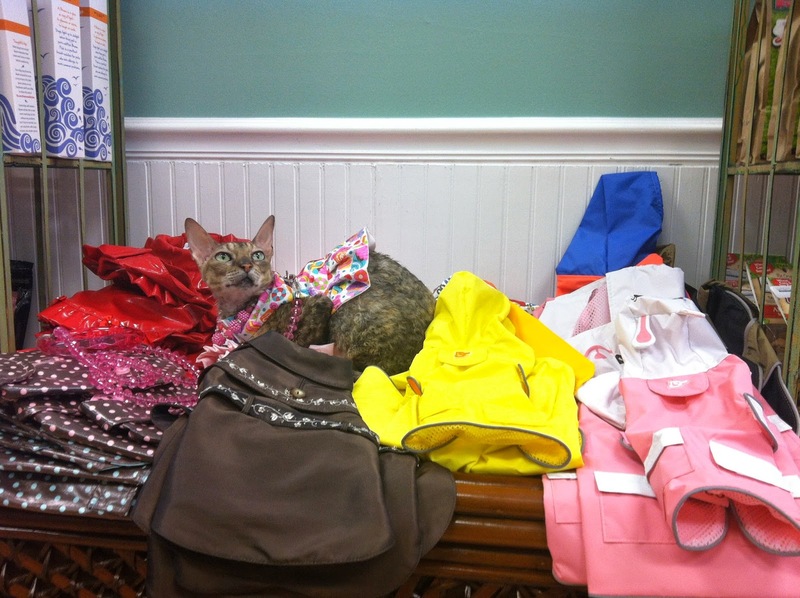 Coco's been busy, going to fund raising fashion shows! 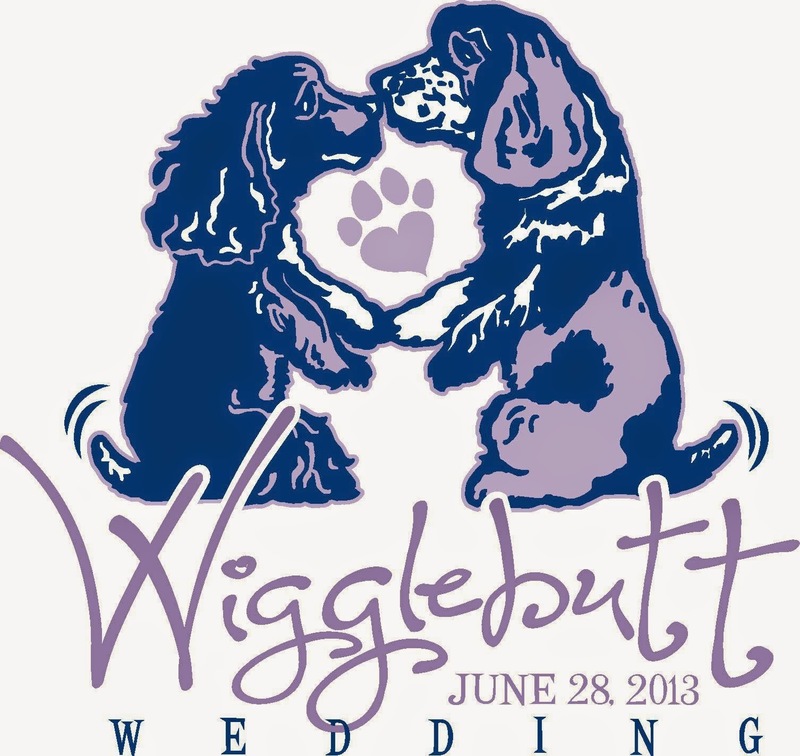 And in two days, we will be winging our way to Las Vegas, baby! 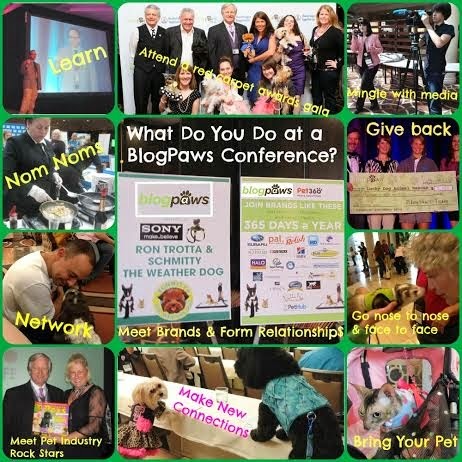 To attend, and speak at the BlogPaws Pet Blogger Conference! and I think she will have the bigger suitcase! 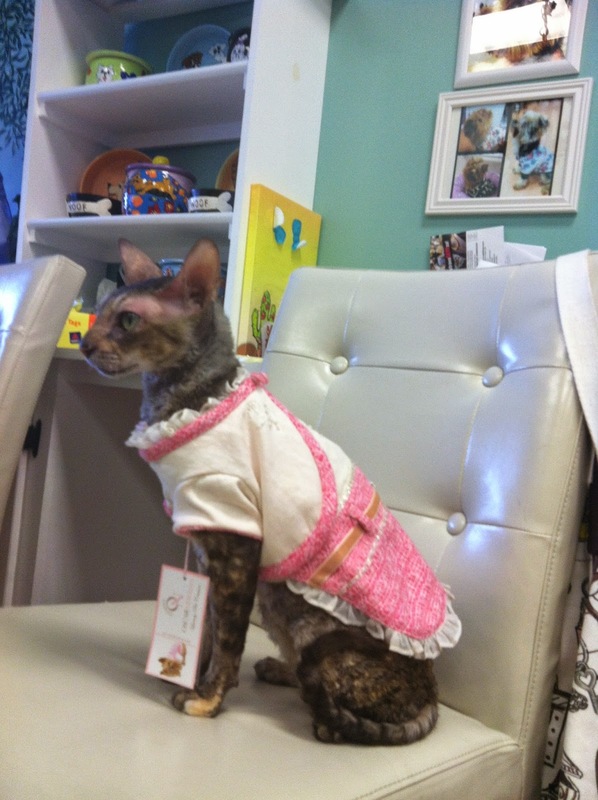 You are a very busy kitty, Coco! 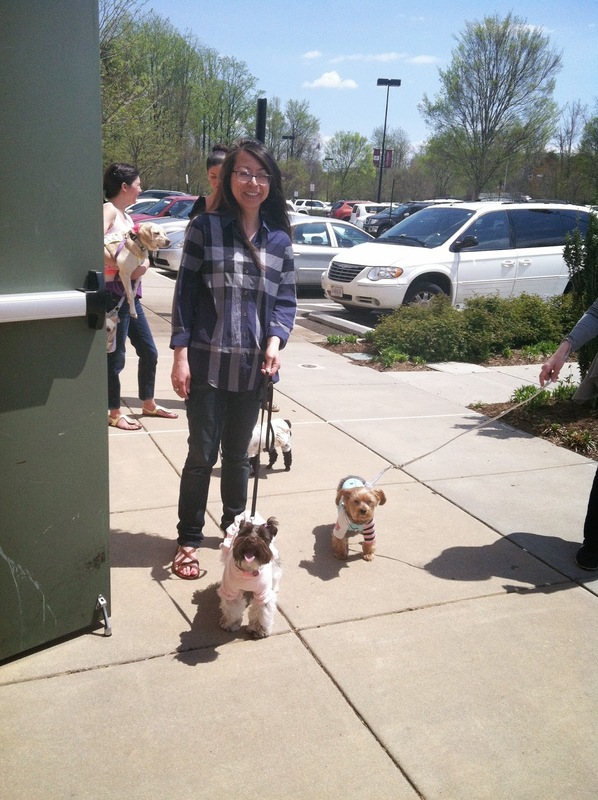 If you don't feel like having my human take your photo at BlogPaws, just sic your bodyguards on her. 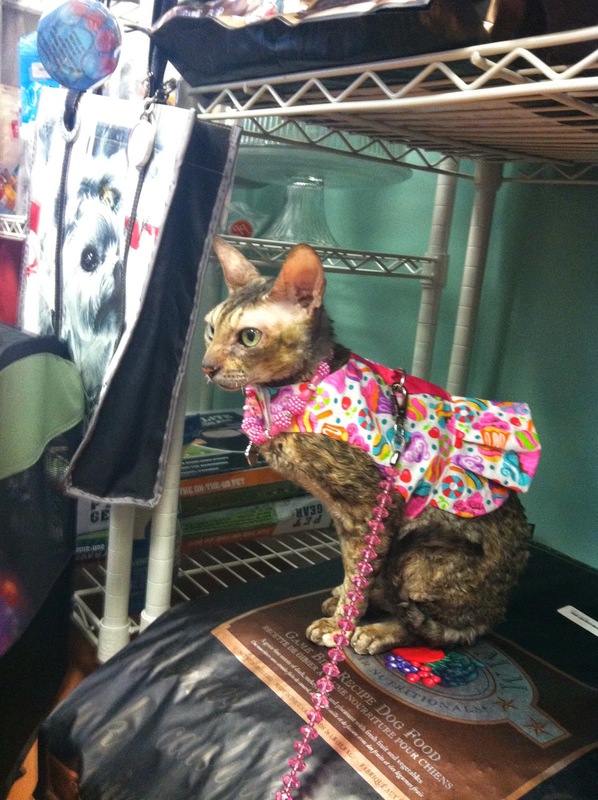 Coco, the mom says she can't wait to see you at BlogPaws!